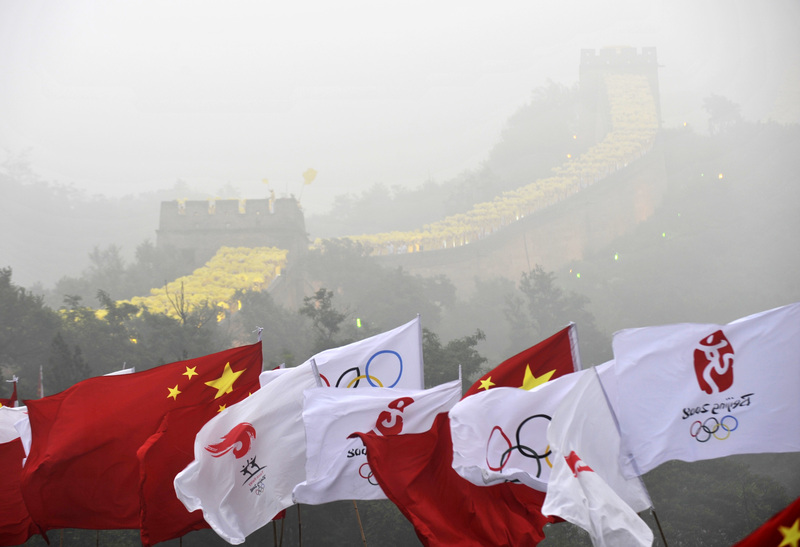 The Olympic flag has arrived after its journey from Pyeongchang 2018 to the Great Wall of China. It visited close to the Yanqing District in northern Beijing, which will be one of the three locations for the Beijing 2022 Winter Olympics. A ceremony was held at the Badaling section of the Great Wall, attended by more than 500 spectators. Among the guests was Jia Zongyang, a silver medalist in Pyeongchang in the freestyle skiing men’s aerials this month. “The 2022 Winter Olympics has started its Beijing time,” said Han Zirong, secretary general of the Beijing Organizing Committee, to China Daily. Jia said he was thrilled to see the Olympic flag again. “I will work hard in training and try my best again at the Beijing Winter Olympics,” he said. Yanqing, 74 kilometers north-west of central Beijing, will host five events in 2022, including Alpine skiing, bobsleigh, skeleton and luge. The two other locations for Olympic venues will be north of urban Beijing and in Zhangjiakou in the adjacent Hebei province. The Pyeongchang 2018 Winter Olympics closed on Sunday (February 25) after 17 days of competition. The Olympic flag was handed over by International Olympic Committee President Thomas Bach to Beijing Mayor Chen Jining at the Closing Ceremony. Next articleIs the Concussion Issue Catching up to the NCAA?